You will play the role of a god, who must pass six different levels of parkour to protect the world. All the signs on the map in Spanish, so below you will find the plot translation. Your task is to protect the totems of all dimensions of the world. Once someone stole all the totems. It turned out that each of the totems is located in different six dimensions and your mission - to return all the totems. You have to go and save the world! 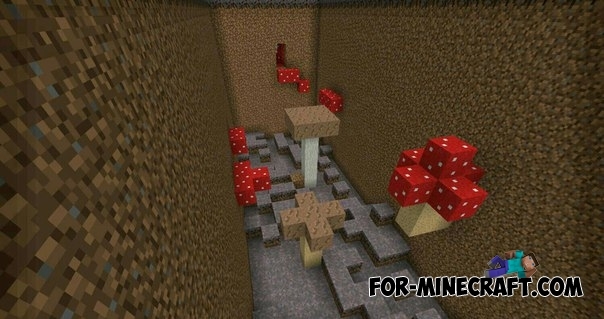 God Of War mod for Minecraft PE 0.12.1This mod is based on the popular game «God Of War». The modification will add a lot of new items and armor, which have own unique abilities in the attack.